Technology is delivering benefits to the business. Businesses that have invested in the growing communication technologies are reaping the benefits such as greater returns, improved communications, increased customer satisfaction, good business relationships and the count goes on. Since the internet revolution, businesses have received an opportunity to communicate in a more sophisticated manner. The digital revolution has enabled the business to take a shift to the VOIP technology from the traditional one, bringing substantial change in the way the business communicates. In the happening world, it is essential that the business exploits mobility, unified communications and advanced telephone systems that drive value, returns, and obvious growth to the enterprise. Comprehending this, it is worth your business to be a part of the advanced solutions that brings success. With the emergence of the VOIP technology, the IP-based telephone system systems become an integral part of the business now. It delivers greater flexibility and value-added services to the businesses- additionally the present systems can be customized to suit the varied needs of the enterprises too. Besides making the communication effective, it reduces the communication costs as well. If you are extremely looking to improve the communication infrastructure, it is good to put trust in the trustworthy systems. With the astonishing features and functionalities, the Sangoma FreePBX solutions empower business achieving long-term productivity and profitability. With the FreePBX, you can craft PBX that fulfills your communication requirements. Being an open source platform, FreePBX offers great benefits to your organization. The FreePBX provide the flexibility that the business can make their own dial plans and configuration systems, thus allowing you to focus on the other elements of the VOIP set up. With its ability to work with the cloud environment, this FreePBX is a great choice for your PBX solution. A global provider of hardware and software for the IP-based solutions, Sangoma Hardware solutions is known to be the only company to be officially certified by the FreePBX open source project. The Sangoma FreePBX are easy to use, integrate and deploy, thus making the use of PBX system easier than ever in the communication environment. Sangoma FreePBX systems have been designed to the varied communication requirement of the business. Additionally, with these systems, it is easy to customize and configure. Sangoma FreePBX Phone system 60: Built with the rich features and options this small business communication solution supports advanced VOIP features such as the unified communications, IP trunking and more. It is cost effective as well and is perfect for small or branch office environments. It can support 60 users and 30 concurrent calls. Sangoma FreePBX Phone system 100: Built with the rich features and options this business communication solution supports advanced VOIP features and applications such as the unified communications, IP trunking, contact center support and more. It is cost effective as well and is perfect for small or mid-sized business environments. It can support 100 users and 30 concurrent calls and is ready to use with the FreePBX software. Sangoma FreePBX Phone system 300: Built with the rich features and options the Sangoma FreePBX Phone system 300 communication solution supports advanced VOIP features and applications such as the unified communications, IP trunking, contact center operations and more. It is cost effective as well and is perfect for enterprise business or contact center environments. It can support 300 users and 120 concurrent calls. With this time you can substantially save IP services and reduce IT support. Sangoma FreePBX Phone system 1000: Built with the rich features and options the Sangoma FreePBX Phone system 1000 communication solution supports advanced VOIP features and applications such as the unified communications, IP trunking, contact center operations and more. It is a large enterprise communication solution that is perfect for enterprise office installation or contact centers. It can support 1000 users and 300 concurrent calls. The system is powerful with the redundant storage and power supply. Designed to fulfill the small to large business communication requirements, the varied models of Sangoma FreePBX Telephone systems are the perfect ones that truly deliver exceptional performance. The systems have been designed to bring success to the ever increasing business needs. In an environment where the leading solutions are the way to an enhanced communication, then Sangoma FreePBX system is an astonishing product. To meet the demands, the company has the suitable line up of the PBX systems to the growing communication needs. The hardware flexibility makes these systems a sure pick to your organization. With the advanced features and functionalities, Sangoma PBX systems are an answer to the power of your communication wants. 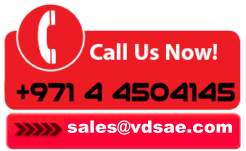 VDS is a Sangoma Distributor in Cameroon, UAE. 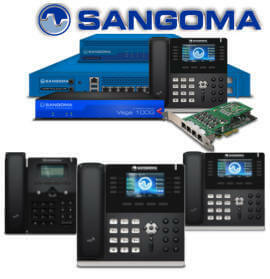 We carry all the models of Sangoma Telephone System. As a leading Supplier of Sangoma in UAE, we can supply products across middle east and Africa. In UAE our coverage includes Dubai, Sharjah, Abu Dhabi, Ajman, Ras Al Khaimah, Umm Al Quwain and Fujairah.Outside UAE we supply Sangoma products in Kenya, Nigeria, Bahrain, Iran, Oman, Saudi Arabia, Kuwait, Qatar, Uganda, Ethiopia, Ghana, Tanzania, Algeria, Sudan, Angola, and Zambia.